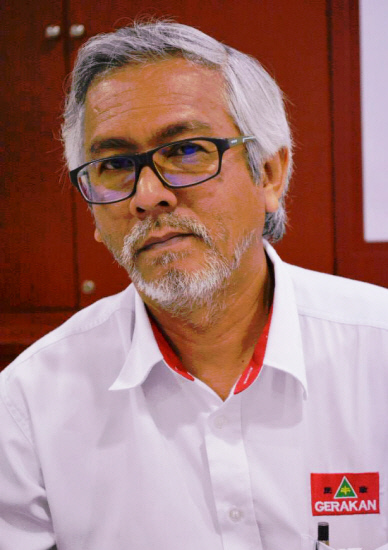 BUKIT LANJAN: ‘Karma’ (sarcasm intended) hits Bukit Lanjan? https://youtu.be/ZCqcL60FEAw (VIDEO: Bukit Lanjan transformed into a river of mud)Even developed countries, like Singapore recently, are hit by floods when nature unleashes exceptionally heavy rain. So, it was just plain stupid for those who blame floods in their states on karma. “However, floods can be mitigated if monsoon drains are adequate,” Gerakan Deputy Speaker Syed Abdul Razak Alsagoff said. 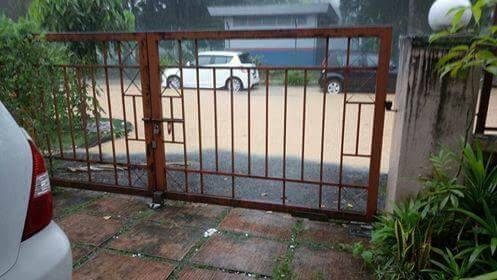 He said floods could also be mitigated if development projects under construction “are conducted with strict guidelines and measures to ensure monsoon drains are not clogged”. 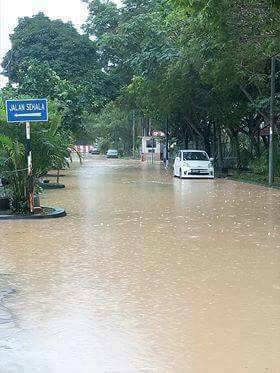 From pictures shared on WhatsApp, Syed Razak said Bukit Lanjan was flooded badly yesterday (Jan 24, 2018) probably due to the many construction works in the constituency. “The muddy waters is testimony to the pollution caused by development projects,” he added. 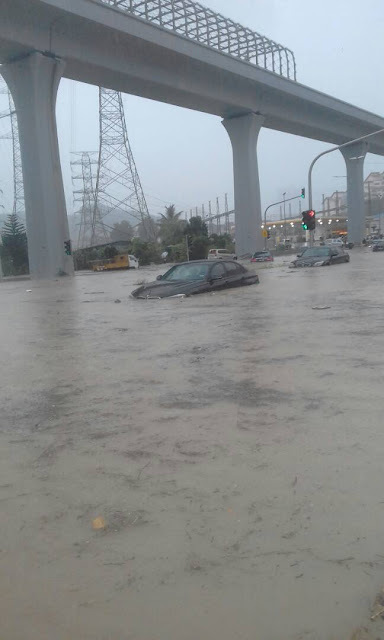 Persiaran Surian ... Part of Section 5 Kota Damansara was also hit by flood. According to a resident, this has never happened before. The speculation is that the clearing of trees nearby for the DASH highway construction might be the cause of the flood. Syed Razak, who is Gerakan’s nominee to contest N.37 Bukit Lanjan in the coming 14th General Election (GE14), said it was shocking that affluent areas like Damansara Utama, Damansara Mutiara and Kota Damansara were also hit by floods “drowning cars”. “This is a first, if I am not mistaken. 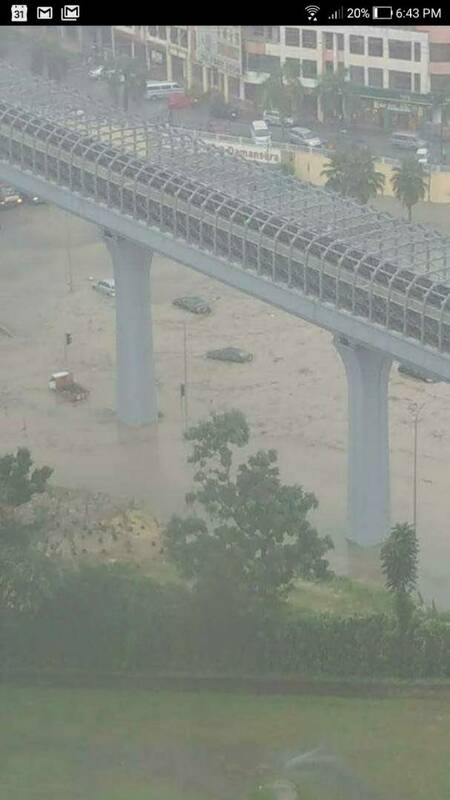 And in Jalan Universiti (Petaling Jaya), even an elevated highway can be flooded! Only in Malaysia Boleh!” he added. “So, who to blame? The Selangor government? The federal government for the federal projects? “It should not be a blame game. Both state and federal governments must act to mitigate the causes of such destructive flash floods. “So, where are the Subang MP, Bukit Lanjan assemblyman and the government officials responsible for infrastructure and irrigation? Don’t pretend nothing has happened and hope for this nightmare to go away and be forgotten. 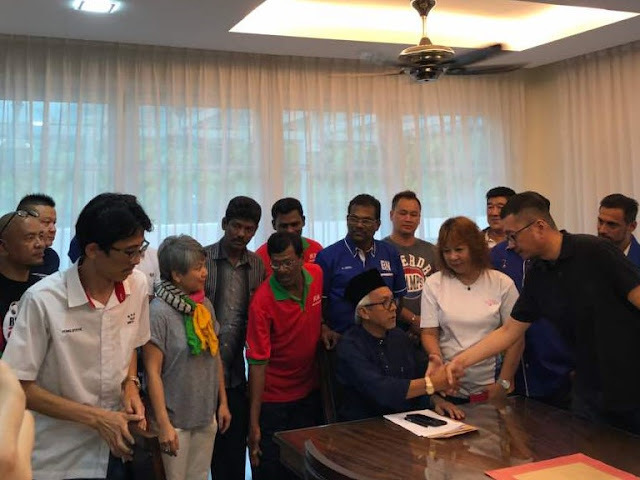 “You are all elected and appointed to act and to provide services to the electorate, so take responsibility and do your job to mitigate,” Syed Razak added. 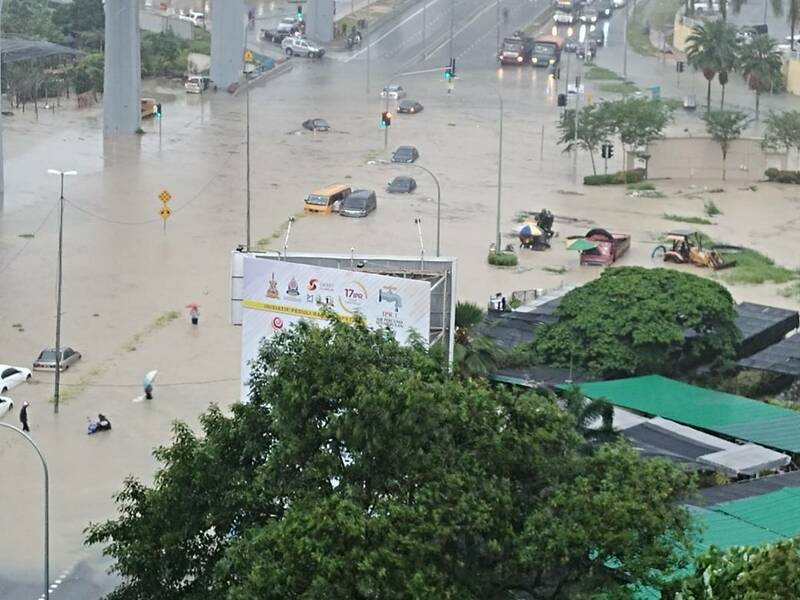 The flyover along Jalan Universiti in Petaling Jaya was flooded after a heavy downpour. 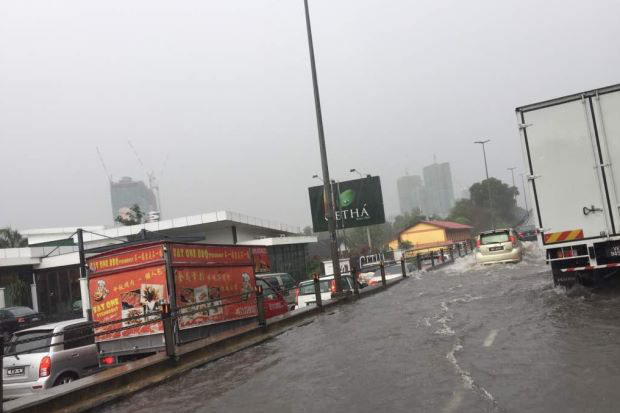 A StarMetro reader was caught by surprise when the flyover along Jalan Universiti, Petaling Jaya was flooded following a heavy downpour in the afternoon. 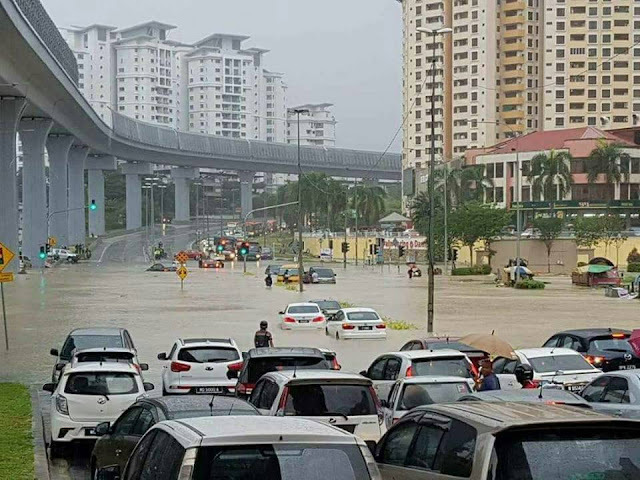 “About 30m of the flyover was flooded," said Hayati Ismail. 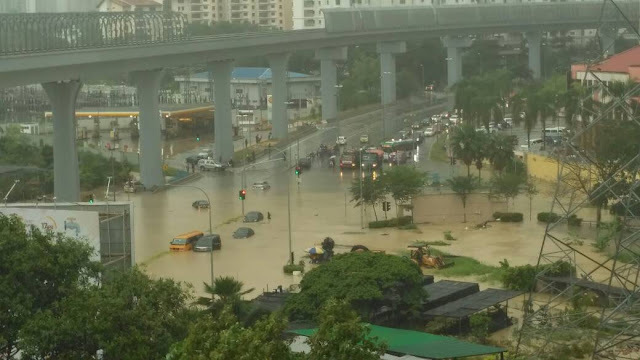 "I am really puzzled as to how a flyover could be flooded. I suspect the drain holes must be clogged with rubbish,” she said. She was on the way to fetch her children after school. 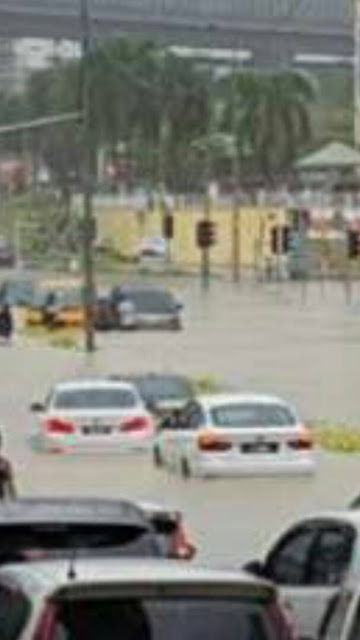 “I was driving towards the Jaya One side about 4pm and was caught in the flood,” she said. Hayati said this was not the first time it had happened. She has seen flood taking place on the opposite end of the flyover too. Traffic was slow moving along Jalan Universiti after an evening downpour. 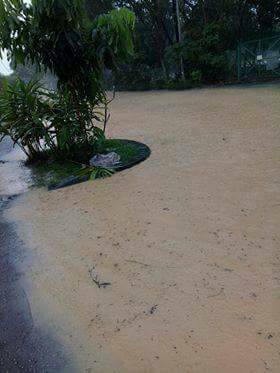 Meanwhile, social media users reported of flash floods in Kota Damansara at about 5.30pm. 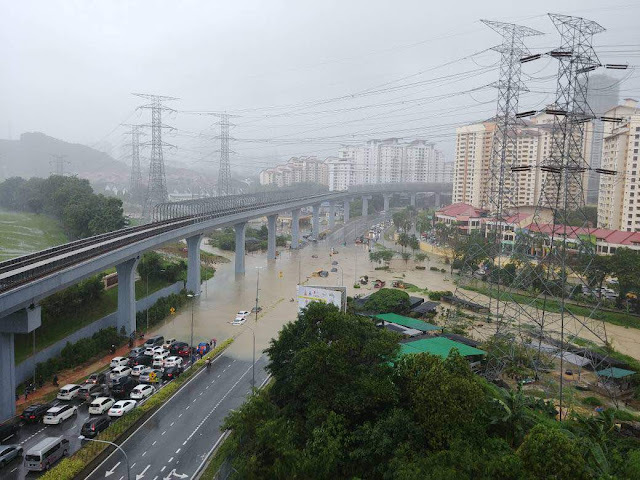 The flood at Persiaran Surian affected the stretch between Pelangi Damansara and Sunway Giza. It resulted in heavy congestion that backlogged onto the Damansara-Puchong Expressway (LDP) and Sprint Highway."